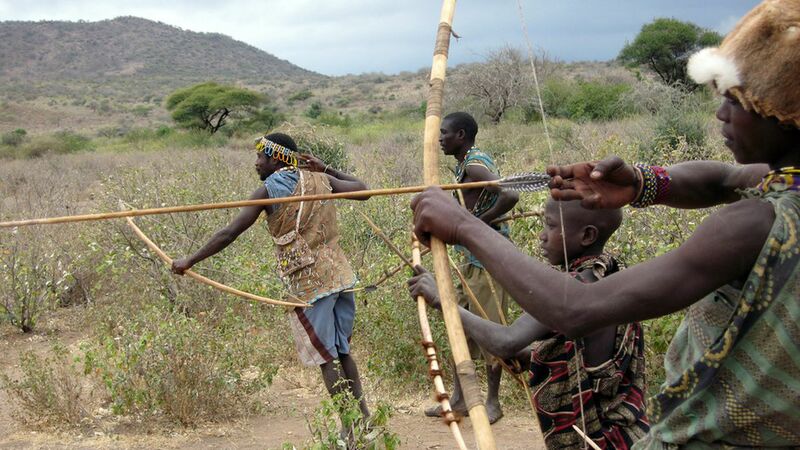 The Hadza are a group of hunter-gatherers living in Tanzania in Africa. As the seasons change, so does their diet — from plant-heavy in the wet season to meat-heavy in the dry season. A new study published in Science found that shift in diet changes the types ad abundance of microbes in their gut. Why it matters: Although microbiome research is still in its infancy, some results suggest diverse gut ecosystems, like the Hadza's, can be protective against illnesses. And, researchers are interested in whether diets can be supplemented with microbes in order to fight infection. What they did: The researchers gathered 350 Hadza stool samples over the course of a year, and looked at the bacterial composition inside of them. Then, they compared those microbes to the ones found in stool from 18 non hunter-gatherer populations across 16 countries and differing lifestyles. What they found: Not only did the Hadza's diet shift seasonally, they had more diverse gut microbes than the non-hunter-gatherers studied. Several species of bacteria that were common in the Hadza were non-existent in other groups. The seasonal shifts in bacteria species is supported by past research that shows vegetarians tend to have different gut microbes than people who eat meat. Sound smart: The microbiome is the collection of billions of bacteria, fungi and viruses that call our bodies home. Although scientists are only just beginning to understand the microbiome's importance, everyone agrees: we can't live without it. Gnawing questions: It's possible that other populations have gut microbiomes like the Hadza's. If there are, researchers could study them to see if diverse gut microbiomes like have health benefits, or if they are no longer necessary in modern life.